Walking to work this morning I was listening to the radio on my walkman (old school) and the yammering DJs mentioned this morning's sunrise. 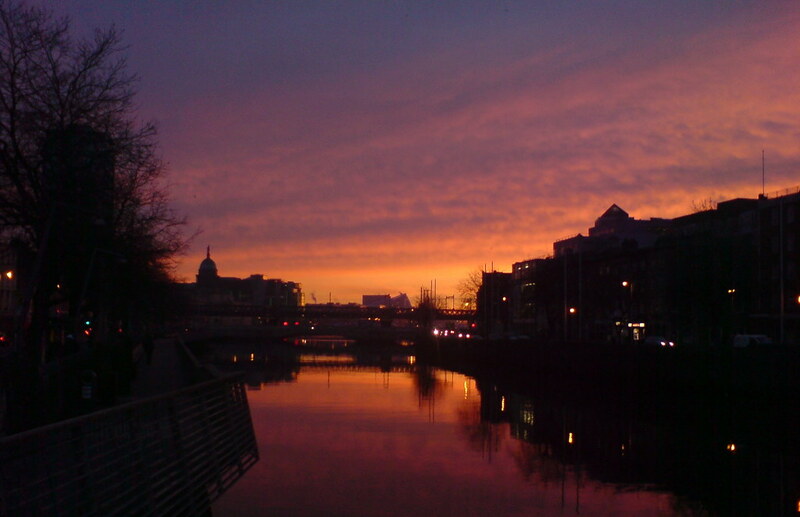 Walking across O'Connell bridge at 8am I was needless to say pretty sleepy and oblivious to the proceedings. I looked left, and sure enough, there it was.